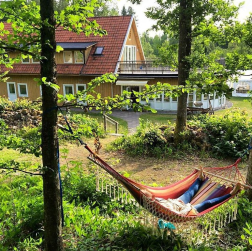 We are looking for happy, excited and nice people to help out at our Eco Retreat Center in Southern Sweden (3 hours with a direct train from Copenhagen or Gothenburg). We're home to many kinds of retreats, educations and festivals in the areas of mindfulness, yoga, personal development, music and human potential. You find us in the midst of forest with little lakes, eco buildings, tiny horses and lots of walking paths in the surroundings. Mundekulla started 20 years ago with fixing up a small countryside house. We've grown organically over time and now we host small retreats of 15 people up to festivals with 300 people. Sustainability, personal growth, creativity, community and health are at the core of everything we do. Even though we've grown, we're still small and personal with a staff of 6 people (based on and close to the site). We're looking forward to meet you and create beautiful work, lasting memories and a great time together! And outside? We are only 1 hour away by train from beautiful Karlskrona with it's UNESCO world heritage archipelago at the Baltic Sea. Also 1 hour away is Kalmar and it's connection Öland. Lots of culture, castles and beautiful natural places to discover in both these cities at the sea. Garden: We are now preparing for organic vegetable growing. After a year of preparation, the first seeds will be planted in 2019! The first growing beds and the green house are in the making. We'll be growing salads, herbs, edible flower and vegetables. In this start-up phase there are lots of things to learn and do. 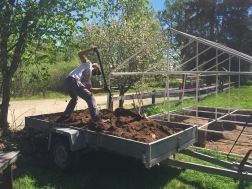 Also physically heavy work, like working with compost, building growing beds, making fences, etc. 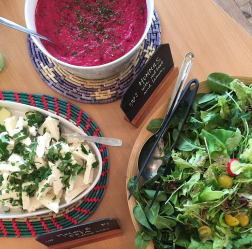 Restaurant support: In our restaurant we serve meals for 15 to 300 guests. We couldn’t do this without the help of our volunteers! From preparing vegetables to picking flowers and helping out with Swedish 'fika': making coffee, tea and cakes. From dishwashing to helping out with breakfast and cleaning. A perfect place to get some insight into kitchen secrets. Housekeeping: This is all about keeping the workshop spaces, rooms and hallways beautiful and clean. From vacuum cleaning to cleaning windows and making sure course materials (like yoga mats, blankets, etc.) are tidy and put away nicely. You have an eye for making spaces beautiful and welcoming. Maintenance & allround: This is all about the many practical things that need to be done. 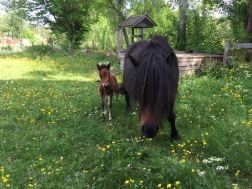 From grass clipping to taking care of animals (last year we had horses and goats visiting, who will visit us coming year is still a surprise). From repairing fences to moving chairs and tables around for events. We try to create a good mix of these jobs for everyone in the programme and to connect you to the jobs that fit your qualities. However: be prepared to be flexible and work in all these areas. You're into nature, you're social and you think sustainable. We're not a party place! (no drugs, no alcohol), but we have lots of opportunity for you to enjoy beautiful forest walks, meditation, swimming, sauna. You have an eye for making spaces beautiful, you don't mind cleaning, you love people and you're solution-oriented. You enjoy being around other people, but you can also enjoy yourself in more quiet times. We have a 30-hour week, spread over 4-5 days a week. In general you help 6-8 hours a day. We make sure that every day you have a stretch of free time to enjoy the place and the surroundings. We do not exclude on age, but in general we aim for people between 20-35 years old. We prefer people who wish to stay 1-3 months. After 2 weeks we always do an evaluation together, to see if it is working well from both sides. What do you get in return for your good work? The opportunity to spend time in the beautiful surroundings: forest, little lakes, sauna. We have a tower that overlooks the forests all around, a reflection labyrinth and lots of forest walking paths. 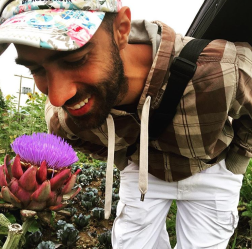 You learn about (organic) gardening, vegan/organic cooking, eco building and the general workings of an eco retreat center. Many volunteers who have been with us come with the dream of one day participating in or starting a course center or community themselves. 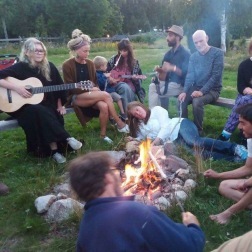 Weekly inspirational workshop (1-2 hours) by members of the Mundekulla Staff in one of their areas of expertise: from meditation to sustainable cooking, from shiatsu massage to leadership. 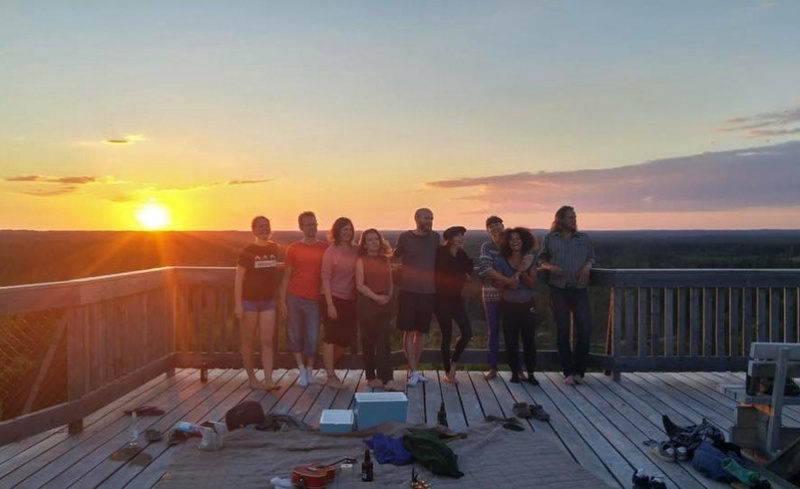 You'll meet many new and inspiring people, make great memories and contribute to the values of creativity, sustainability and personal development we practice. We're super happy and grateful for the input we have received from a wide community of wonderful people. Time of development and reflection. With some retreats/festivals you will be able to participate in part of the program. But this depends on each separate event! You do not automatically have access to the events. This is always in dialogue with the volunteer coordinator (Stephanie). You'll share a double room in the Volunteer House. In the Volunteer House you'll live with 3-6 volunteers, all working in different areas. You share the bathroom, toilet, small kitchen and (outside) hangout space. We also have tent space for those who wish to come with their own tent. We have free internet access. Interested to come and volunteer? Stephanie Verstift is volunteer coordinator at Mundekulla. Originally, she comes from The Netherlands, where she worked with creative learning and organizational change. At Mundekulla she now loves working with the volunteer program as well as leading the general organization of the kitchen. 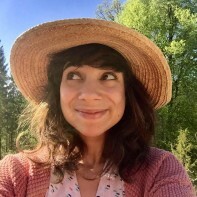 She is driven by a passion for personal development and sustainability in fun and innovative ways. Her big inspirations are the Art of Hosting, Open Masters and her grandma ;) You’ll be working together with Stephanie as well as other people from the Mundekulla staff on site. Want to apply to become a volunteer at Mundekulla? Fill in the application form here. "Mundekulla has such a genuine loving and peaceful feeling to it so I think anybody would like it here. And they will be in good hands, taken care of and get help to grow and learn with very compassionate, funny and nice people." "I cannot easily express how much I loved Mundekulla. It is a beautiful and magical place that is difficult to summarize. It has the feeling of a small village, whose expressed purpose is spiritual and personal growth. Don’t expect to be able to engage in the retreats. That’s not necessarily your purpose there.Your role is help others with their spiritual journey. Sometimes that just means washing the dishes, or cooking a meal. Having said this; spiritual and personal growth are easily found here. Just not necessarily as a retreat attendee. You will find growth in the community, work, and space of Mundekulla." "What a magical place! Get ready to dive into an experience that will leave you enriched and inspired. I was lucky to spend 2 months of this summer in this place and it’s been such a wonderful time. The people working there are absolutely wonderful, each of them in their own lovely way. How exactly - go and find out yourself. You’re not gonna regret it." "It is a great place, which invites people to expand their knowledge on living environmental friendly and intact with nature. A lot of calmness, connection to nature, also insights and inspiration for cooking and gardening."